This entry was posted in Academic achievements, Faculty and tagged animal sciences, fellow on March 29, 2012 by Wire Eagle. AUBURN – Werner Bergen, nutritional biochemist and professor in the Auburn University Department of Animal Sciences, has been named a fellow of the American Society for Nutrition, the preeminent worldwide scientific organization for nutritional sciences. The status of fellow is the highest recognition the society bestows on nutrition scientists and is reserved for individuals who are 65 or older and who have a lifelong record of distinguished research accomplishments in nutrition research and practice. In announcing Bergen’s selection, Sharon Donovan, president of the society, cited the highly innovative research he has conducted throughout his career on protein and lipid metabolism in agriculturally important animals. Bergen’s research objectives include enhancing efficiency in cattle and pig production, improving meat quality and ensuring product wholesomeness. An alumnus of The Ohio State University, Bergen joined Auburn’s Department of Animal Sciences in 1995 after retiring from 28 years on the animal sciences faculty at Michigan State University, where he is now professor emeritus. 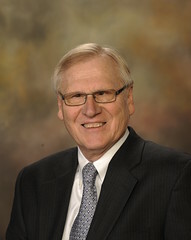 The nutrition society will officially recognize him as a fellow during its 2012 annual meeting in San Diego in late April. This is the second such honor for Bergen, who, in 2007, was named a fellow of the American Society of Animal Science. Bergen is the first scientist on the Auburn faculty to have been designated a fellow of the American Society for Nutrition since 1962, when the late William Salmon, then a professor of nutrition and biochemistry and head of the university’s animal sciences department, received the honor. Salmon was instrumental in identifying and solving the niacin deficiency/pellagra malnutrition crisis in the Southeast in the 1920s and ’30s. The Bethesda, Md.- based American Society for Nutrition has as its members more than 4,500 of the world’s top nutrition researchers, medical practitioners, policymakers and industry leaders and is dedicated to advancing knowledge and application of nutrition for the sake of humans and animals.